The basis of this answer seems to be the following: (1) the Constitution says only that the “House of Representatives shall chuse their Speaker and other Officers,” but does not specify any qualifications for these positions; (2) it is well accepted that the House’s “other Officers” (e.g., Clerk, Sergeant at Arms and Chaplain) need not be, and indeed never are, members; (3) although the House has always elected a member as Speaker, an occasional vote for a non-member candidate has been cast without being ruled out of order; and (4) various congressional publications say in passing that a non-member could serve as Speaker. The last point, of course, is a somewhat circular reason as it merely reflects the written assertion by some of the congressional experts already noted. Personally, I have not questioned this received wisdom, but I haven’t thought much about it either. Now, however, with the House speakership up for grabs, some people are discussing, with more or less seriousness, whether the House could look outside its membership for a candidate. Suggestions have included Newt Gingrich, Arthur Brooks and Oprah. These arguments are not without force, but it seems to me that they largely go to why the House should not, rather than cannot, elect a non-member as Speaker. Schaub may be right that “it simply never occurred to [the Framers] that someone would take it into his head to contend that the Speaker of the House could be an individual who was not a fellow legislator.” But Professor Tillman is right that the mere fact that the Framers and everyone else expected the Speaker to be a member is not enough to prove that there is a constitutional prohibition on electing a non-member to that position. This is particularly true when you consider that the Constitution expressly leaves the choice of Speaker up to the House. The Framers may have very well assumed that the House would never consider a non-member as Speaker except in extraordinary circumstances; it doesn’t follow that they saw the necessity to preclude the House from choosing a non-member under any circumstances. A strong argument against the constitutional eligibility of non-members would depend on showing that the meaning of the word “Speaker” as used in the Constitution was limited to members of a legislative body. As Professor Rappaport notes, it would be a necessary, but not sufficient, component of this argument to show that the speakers of the British House of Commons and state/colonial legislatures were invariably members of the body. What about the semantic content of the word “speaker” at the time of the framing? Johnson’s Dictionary gives one meaning of “speaker” as “the prolocutor of the commons,” which is very helpful unless, like me, you have no idea what “prolocutor” means. Fortunately, it defines “prolocutor” as “the foreman; the speaker of a convocation.” And it defines “foreman” as “the first or chief person.” So one might argue that the “speaker” of a legislative body is the first or chief person of that body, and therefore necessarily a member (as the foreman of a jury is necessarily a member). Not a terrible argument, but hardly a slam dunk either. In short, the question of whether a non-member can be Speaker remains an open constitutional question (the House never having had occasion to address it in a serious way) and the correct answer is less than obvious, at least to me. Can the Chairman of the House Budget Committee Preside Over the Senate? Professor Seth Barrett Tillman emails to remind us (among others, see Election Law Blog and the Originalism Blog) of his theory that the President and Vice-President do not hold “offices under the United States” within the meaning of the Incompatibility Clause, and thus that there is no constitutional prohibition on being President/Vice-President and a Member of Congress at the same time. Just as he argued in 2008 that then-Senators Obama and Biden could remain in the Senate while assuming the presidency and vice-presidency respectively, he believes that Representative Paul Ryan could keep his seat in the House even if he becomes Vice-President. I have three observations on the subject. First, technically I think that Tillman is correct in saying that Ryan could assume his seat in the 113th Congress even if he is elected as Vice-President. This is so because the Congress will be seated on January 3, 2013, while the Vice-President will not be sworn it until January 20. Until he is sworn in, Ryan does not have an Incompatibility Clause problem. Second, although there is a Wisconsin statute that declares that if a candidate is “elected president or vice president of the United States such election shall void the candidate’s election to any other office,” this statute is probably unconstitutional as applied to election to Congress. Since Ryan has the constitutional qualifications to be a member of the House unless and until he becomes Vice President, the Wisconsin statute should not prevent him from receiving a certificate of election and being seated on January 3. Of course, it might be difficult to convince the Wisconsin official responsible for issuing the certificate of election (presumably the Secretary of State) of this. Third, once January 20 rolls around, Ryan will have to decide whether he would rather be Vice-President or a Member of the House. This is so because (1) I think Tillman is wrong that the Incompatibility Clause allows Ryan to serve as Vice-President and as a Member of Congress at the same time; (2) I am quite sure that the House would think that he is wrong; and (3) even if the House were persuaded that Tillman is right, it would still exclude Ryan on the grounds that the duties of the Vice President are “absolutely inconsistent” with those of a Member of Congress (as it has done in the case of Members elected to state offices such as the governorship- see 6 Cannon’s Precedents § 65). So I guess the question for Ryan would be: is a seat in the House worth less than a bucket of warm spit? Are Lindsey Graham and Scott Brown Incompatible? Under Article I, section 6, clause 2, I mean. That Clause provides in pertinent part that “no Person holding any Office under the United States, shall be a Member of either House during his Continuance in Office.” Under this provision, known as the Incompatibility Clause, holding an office “under the United States” is deemed incompatible with service in the U.S. Congress. Senator Graham serves in the U.S. Air Force Reserves. From time to time he has been called to active duty, including three “mini-tours” in Iraq. During one of his stints on active duty, the Judge Advocate General of the Air Force assigned Graham to sit as a judge on the Air Force Court of Criminal Appeals, an intermediate appellate court in the military justice system. In that capacity, Graham served in 2004 on a panel that upheld the conviction of an airman charged with drug use. Senator Brown is a member of the Massachusetts Army National Guard. He also is called to active duty from time to time, including a recent week-long training stint in Afghanistan. As military officers, albeit part-time and normally inactive, Graham and Brown might be thought to hold “office[s] under the United States” which would make them ineligible to serve in Congress under the Incompatibility Clause. 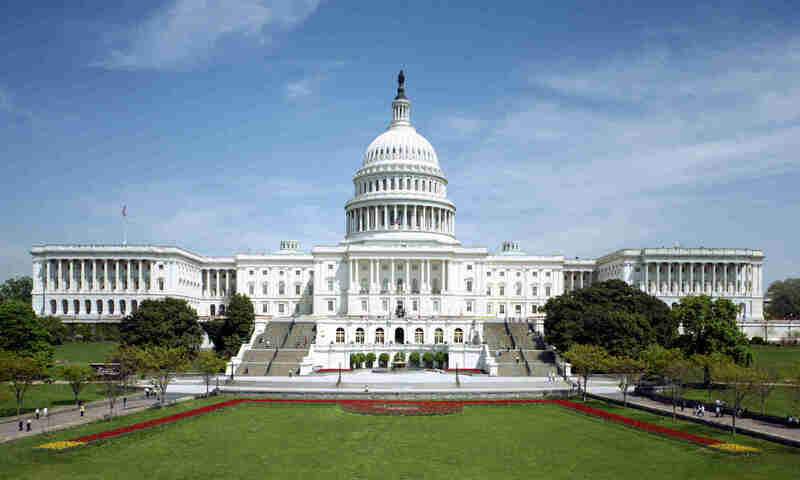 There seems to be little question that the Incompatibility Clause applies to military offices and thus that regular active-duty officers in the United States military are prohibited from serving in Congress. See Note, “An Officer and a Congressman: The Unconstitutionality of Congressmen in the Armed Forces Reserve,” 97 Geo. L.J 1739, 1744-45 (2009) (collecting evidence that the Framers understood the Incompatibility Clause applies to military offices). I would suggest that the criticism is misplaced. It is true that Senate rules do not prohibit Gregg from voting. Senate Rule 37(4) provides that “[n]o Member, officer, or employee shall knowingly use his official position to introduce or aid the progress or passage of legislation, a principal purpose of which is to further only his pecuniary interest, only the pecuniary interest of his immediate family, or only the pecuniary interest of a limited class of persons or enterprises, when he, or his immediate family, or enterprises controlled by them, are members of the affected class.” This very limited restriction is not applicable to Gregg’s (or possibly any) situation. The Incompatible Offices Clause does not, by its literal terms, prevent Gregg from serving in the Senate and voting on legislation while his nomination is pending. Nevertheless, the danger of executive influence and the appearance and/or reality of a conflict of interest is just as great, or very nearly so. No matter how much Gregg attempts to be independent and objective in judging the merits of the stimulus bill, for example, it would seem virtually impossible for him to put entirely to one side the fact that he is about to join the cabinet of the President for whom this bill is the most important domestic priority. In a perfect world, perhaps, Gregg would decline to accept the nomination as Secretary of Commerce on the grounds that he is ineligible for that position under the Emoluments Clause (see “Is Hillary Clinton Unconstitutional?”). Gregg, like his fellow members of Congress, apparently has little interest in following the letter of the Constitution in that regard, but his recusal is at least an attempt to comply with its spirit.